Magic’s community is awash in discussion of Ultimate Masters this week. Box toppers started showing up in mailboxes late last week as a PR stunt slash apology for how horrible the Guilds of Ravnica purchasing experience was. We didn’t have to wait long to find out what they were, as Ultimate Masters was announced just today. With an MSRP of $335 it’s going to scare a lot of players away, but the value of those box toppers is no joke. With Grand Prix Atlanta in the books and another win for Bant Spirits, it’s clear that this deck is the real deal. We weren’t sure what to think of Humans when that first showed up, and it has shown that it’s capable of getting the job done. Now here we are with Spirits taking down back to back GPs and we should start talking about what things are going to look like in this list in a few months. Prices aren’t dirt cheap the way they were a few months ago when we all wondered if this was just a fluke. We can’t pick up foil Drogskol Captains for $3 any longer. That ship has sailed. Instead, we should be looking at non-foils. Early adoption of the deck is going to put pressure on foils immediately, as people dash to get the limited supply that’s out there. Once that initial wave disappears, if the deck keeps putting up results, you’ll see the copies needed for average people that just want to jam the deck start to thin out. That’s the stage we’re in now, and a key piece is Drogskol Captain. He’s a virtual lock in every iteration, which is great for moving copies. Today you’ll find a little under 60 vendors with copies, and many have several, so we’re not looking at running out this week. Instead, we’re looking into the spring, and possibly beyond for this to start to move. Barring an unexpected reprint in some ancillary product (since with the name Drogskol he’s not coming back in Ravnica any time soon), there’s nowhere to go but up. The cheapest copies are going to be getting snagged by players looking to play the deck, loose copies will filter out of collections as prices are hit $4 to $5, there will be a lull as the new supply is chewed through, and then the price increase will continue again. Long-time readers (and especially listeners of @mtgfastfinance) will have heard this name a few times before. Back when Spell Queller was spooking Standard and just barely beginning to make ripples in Modern I began to take notice, and recommended foils. I pushed them again maybe a year or so, after the card had firmly situated itself in Modern. And now here we are, with Bant Spirits the latest rage, and I think we can start looking at non-foils. Spell Queller has only two printings; the original pack copies, and the prerelease foils. Like Drogskol Captain, supply is healthy right now. That’s fine. We’re early in the period where there will be a sustained collective interest in the card since the deck is doing so well. 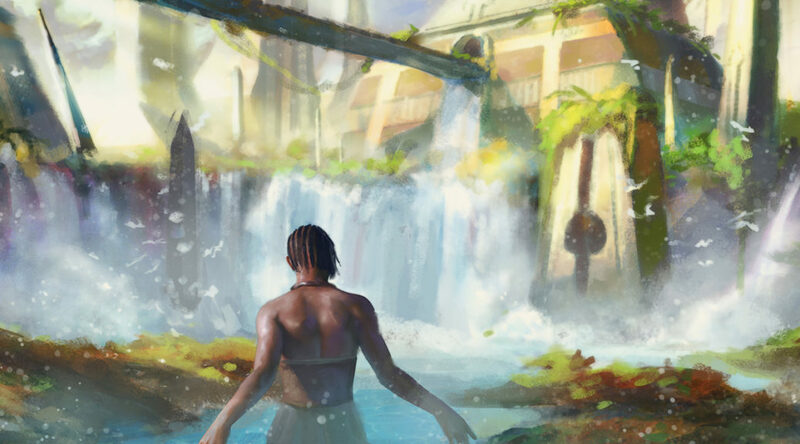 Even if Bant Spirits the strategy begins to fade, Spell Queller has proven it has the chops to compete in the format, and future deck builders will be likely to consider it as a serious option. With prices starting at $5 to $6, it isn’t going to be hard to pick these up out of trade binders or during sales. Keep stashing them away and forget you have them. These could pull up above $10 easily, and you’ll be glad you did when that time comes. We can’t do a Watchtower without touching on the greatest format, EDH. A constant source of price pressure, there’s always something to turn our attention to. When he was released, I was all about Razaketh. One of Griselbrand’s companions, Razaketh has Demonic Tutor as an activated ability. Spicy! Today EDHREC is reporting Razaketh in about 4,500 decks, which is a healthy number given the time elapsed since his release. Foils have been maturing well, with initial buy-ins of $7 to $8 now seeing 100% gains and low supply. Today we’re talking about non-foils though. While there are still some foil opportunities under $15 if you scour the internet that should still payoff nicely, non-foils are getting attractive. Like our other two cards this week, we aren’t looking at a card that’s got seven copies on the market. No, there’s still a healthy supply of Razaketh. (CFB has fifty in stock alone.) Our time of departure on Razaketh isn’t this year. It’s probably middle to late next year, after attrition has drained all the copies under $10, there’s fewer on the market, and larger price gaps between the copies that are out there. Razaketh lets players fire off Demonic Tutors as quickly as they can generate thrull or elf tokens. Demonic Tutor is the most popular black card in EDH. Razaketh is going to keep finding his way into nearly any deck that can cast him. Good article this week Travis. Thanks.